Hamadan town in western Iran is the ancient Persian city of Ecbatana. Around the town are located hundreds of mostly Kurdish villages weaving an incredible variety of rug designs, color palettes and weave qualities. 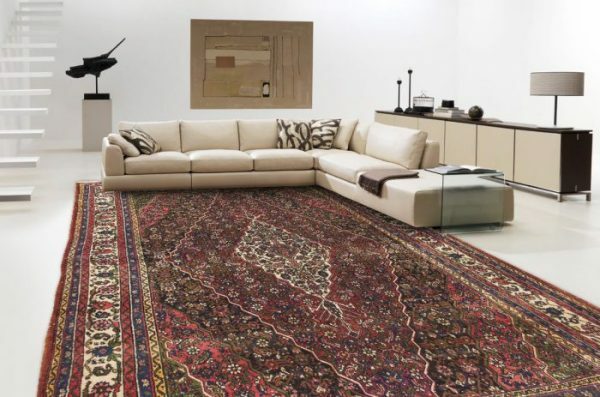 Antique Persian Hamadan rugs are often in runner formats with wide camel tone borders, semi-abstract patterns and top quality local wool. Scatter rug sizes, for example, are in geometric, semi-geometric and floral styles. The knot is always symmetric and the foundations may be all wool, all cotton or a combination of the two. Weaves are medium to coarse, but the pile is lush and meaty. Hamadan’s, whether antique or vintage, are reasonably priced and popular. A tonality, size and design is available for any decorative theme.